ViralNova.com has an article entitled “The Coolest Reactions Your Science Teacher Never Showed You.” Watch a solid object floating on a gas. 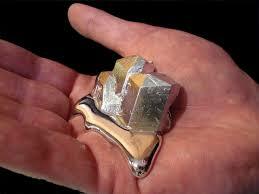 See gallium melt in the palm of someone’s hand. Watch some explosive dirt.